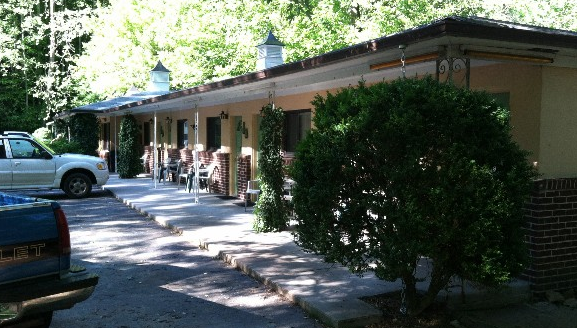 Rolling Brook Inn will take you back to a time when life was simpler and nature provided the entertainment. A time when sitting by a rushing creek, talking with friends and family by a fire, and listening to birds sing and crickets chirping was a joy. April through October Rolling Brook Inn offers king, queen and two-double bed rooms, available with refrigerators and TVs.